Couldn’t put Jamal together again. Yesterday I wrote about the mystery surrounding Jeremy who went into Gerry’s office and never came out and was never seen again. Some might have noticed the similarity between that and the situation involving the missing Saudi dissident journalist Jamal Khashoggi who went into the Saudi tent and never came out. Well, that’s not totally right. I should write he never walked out again. There is a mystery now facing the world. No, not the one about Jeremy. I think we were able to figure out what happened to him. And not the one about the Jamal Khoshoggi. I think we can pretty much figure out why it is that he didn’t come back out of the Saudi Arabian embassy in Turkey after leaving his fiance waiting for him. The mystery is why some people think this is a mystery. 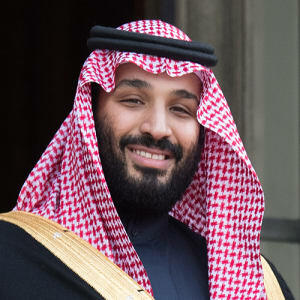 My gut would tell me that the above guy Mohammed Bin Salman, better known as MBS, is a very sensitive 33-year-old guy. A couple of other guys in their thirties that we have heard of are also quite sensitive. One, is Kim Jong-un who is 35-years-old. He would respond to criticism by putting his critics in front of anti-aircraft guns and pretend that they were enemy planes attacking his country. The other is Jared Kushner an elder at 37-years old who is best friends with MBS and whose father-in-law has said he’s in love with Kim Jong Un. My gut tells me that MBS would not have had Jamal Khoshoggi knocked-off as some allege if he did not get his buddy’s okay to do it. His buddy has bigger fish to fry than worrying about some journalist who self-exiled himself to the United States because he was worried about MBS’s sensitivity. I think the plan his buddy was given was that they would lure Jared back to Saudi Arabia and then make him disappear like Humpty Dumpty. Who’d care? MBS fell into thinking that anything he did would be okay with his buddy and his father-in-law. After all, Kim Jong-un had wiped out his uncle and his family, had murdered his brother, keeps running labor camps, and suppressing his people and Trump loves him so how could the murder of a journalist cause anyone any bother. After all in the first four months of 2018 he had 48 people beheaded and the dynamic duo, Donald and Jared, had nothing to say. Well that’s not exactly right. They did through their toady Secretary of State Mike Pompeo certify that the Saudi’s actions in its brutal war on the Yemeni people, who are at the brink of undergoing the worst famine in a century, are being taken “to reduce the risk of harm to civilians and civilian infrastructure” which certification was given right after the Saudi’s bombed a school bus carrying 40 school kids using American weapons. Speaking of Pompeo, it is reported he is going to Saudi Arabia to talk with MBS about the mystery involved in Jamal’s murder. They’ll trump up some story. Trump has already talked about a rogue group of killers who mysteriously arrived on the scene and did the dirty deed. He’ll be telling us that the hit team that flew in from Saudi Arabia on two planes were coming to celebrate Jamal’s birthday on October 13 but somehow they got confused and angry when Jamal didn’t blow out all the candles properly. Right now the Saudis are in Turkey with their bags of money seeing how much it will cost to get the Turks to buy into some rogue theory. Unfortunately, unless Jamal is put back together again the facts seem to bar such a happening. We now see where Trump’s love affair with dictators has led to. We either go along with their ignoble actions or else. What will Trump do now that his hand has been called. I’d guess it would be the usual: lie and fold. Wa-llahi! Why are folks surprised? The Saudi regime treats it’s own citizens like that at home. The cure for the Saudi family is another Juhayman al-Utabi. La-ilaha il Allah. Most people living in Saudi Arabia despise the royal family and it’s corruption, but, fear the regime’s security apparatus, so much, they will not speak their hearts. Fifteen of the mujahids sacrificed in the Manhattan Raid were from Saudi Arabia. They did not lack in courage. They found a powerful way to express their disgust with the way our world is run. If you don’t like the Saudi tribe, support the Daesh. They want want to hang a Saudi Prince from every light pole in Riyadh. UBL hated them, too. You Saudi haters are all in good company. Saudis are old hands in Intelligence. They are known for no nonsense savagery. 15 Saudi Principals … Flew in … No effort to come under the radar. Interminable conspiracy theories about the Bush Saudi financial ties and the expeditious removal of Bin Laden Clan members from Boston …. By jet … on bombing eve. When an old King meets a sympatico American President and looks him in the eye who knows what blood sacrifice will be the issue in order to avenge a terrible stain, of 9/11 complicity, placed upon the Saudi Royal House by rogues . Perhaps Khashoggi was in league with such. Saudis whacked him in public vile and making no bones about Dr. Charm and the bonesaw as Wagner did martial duty . MBS …The new kid sheik in town …will have plausible deniability . He pissed someone off . Khashoggi was bin laden ‘s muse in eighties in Afghanistan. Who knows what all is involved as the Earl Of Louisiana, Huey Long , would say. Saudi Security executing a living dissection of this unfortunate bin laden confidante by their top forensic expert – – I am going to be listening to Dvorak says Dr. Faisal Bone E Sah as he dons earphones to Khashoggi’s bloodcurdling screams —- And I suggest you gentlemen do the same !!!!!! …… How damn civilizing a touch is that ?!? 15 Saudis flew in on a Mission … To sever Khashoggi’s fingers and send a message . Who knows why ?!? Khashoggi held how many pieces ?!? To be fair it is a long history of shame with Saudi Arabia with no one closer to them than the Bush family.At some point I am hoping you will give us your thoughts on Liz Warren running for President.Who will beat Trump? I have not seen anybody yet who looks like they could. All the money coming into the Trump hotel in DC, some of it from Saudi Arabia all of that is legal?The Son in Law looks like a very young guy in over his head.People who written about the Trump White House have also concluded that it would be worse in Pence was President, think about that. Warren has as much chance as a guy born in Norwood who lived in Hawaii for a while. How can I write about someone like her since the only one who thinks she can win is herself. Yes, you are right about the Bushes. They went to war twice to protect the Saudis. The only thing the Saudis have done for us is create Osama bin Laden and have 25 of their citizens attack us on 9/11. The Dems have no one right now who can beat Trump. What they need is a Joe Biden type candidate in his forties. What they’ll produce is someone a cross between Bernie and Nancy Pelosi. But, Hillary and Bill are making a grand tour talking for people at $200 to $600 a head. Maybe Hillary will give it another go. My deepest fear is that the president will take us into a war with Iran. If that’s the plan, Trump will make nice with the royal rascals. ‘Rogue killers”?? Please. I see the president has tweeted that Bonnie Prince Mohammed knew nothing, nothing of any murder. Still, it’s a little hard to believe that a doctor of forensic medicine (carrying a bone saw) was part of a “rogue” hit team. I’d think like that if I thought Trump has the courage to take us to war. He doesn’t. He’s being pushed by Netanyahu and OBS but for him to send us into that type of full out conflict is not in his DNA. His life is based on lies and bluff. He will though with Plumpeo’s help bail out the Saudis with a plan they agree on. The Saudi king and OBS knew nothing about the rogue hit squad. They’ll executed a couple of them and Trump will call it even. A goat! A goat! My Kingdom for a goat! Stone-cold killers have a way of looking through you. It was written. Happy days are here again. Kavanaugh and Gorsuch on the Supreme Court. The smear campaign by the Democrats and the media was defeated. Decency triumphed. 2. President Obama in partnership with Hillary gave us the war in Libya along with the Syrian war, the Yemeni war and the expansion of the Afghan war. Where was Cindy Sheehan when we needed her. So don’t blame Trump for those conflicts. The reporters death is a minor episode compared to the Saudi’s brutal war in Yemen. Almost four years of bombing to no avail. The U S and Britain should stop arms sales until that conflict is ended. The idea that the oil sheiks are a positive force and Iran is malign is nonsense. Saudis have been beheading dissidents for 60 years. Their threats should be ignored. They wouldn’t last six months without our support. We shouldn’t pick sides in the Sunni-Shia dispute that has been ongoing for about a thousand years. Thanks to fracking and directional drilling we don’t need their oil anymore. As Ben Franklin said commerce with all. War with none. How come it’s Obama’s war even though Trump has been conducting it? How come it’s not Obama’s economy? Kavanaugh doesn’t have the disposition to be a BMC judge never mind on the Supreme Court. He never should have been appointed and the country will run the day that he was. The reporter was murdered and dismembered by direction of the Saudi government. That cannot be let to stand. You miss one essential fact – America used to be the one country that held s light up to the world. With Trump we have shut out that light and we see that without it human rights are being extinguished.